Shah e Madina Restaurant & Marriage Hall is located at Majeed Mor, GT Road, Gujar Khan. 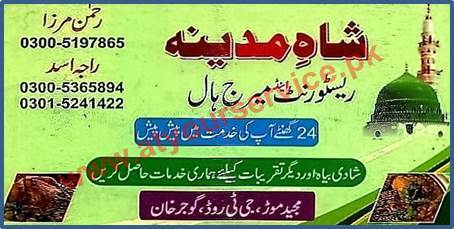 It is restaurant serving Pakistani menu food. It is a marriage hall for wedding and all kind of other important function.